I’m finishing my first year as a geochemistry PhD student at UCLA studying biomineralization. Specifically, I use the responses of marine organisms to climate change to learn about how they make their shells. While my research has implications for materials science and environmental remediation efforts, I am mostly doing this in the context of reconstructing past climates. When shells/skeletons/teeth form, they record chemical signatures that correlate to the conditions in which they grew. For marine organisms, a big assumption is that the signatures being recorded correlate to the seawater at the time of formation. This assumption does not seem to be true—the biology makes it a lot more complicated than that. So, nowadays I’m teaching myself a lot of biology and biochemistry, which is FASCINATING! 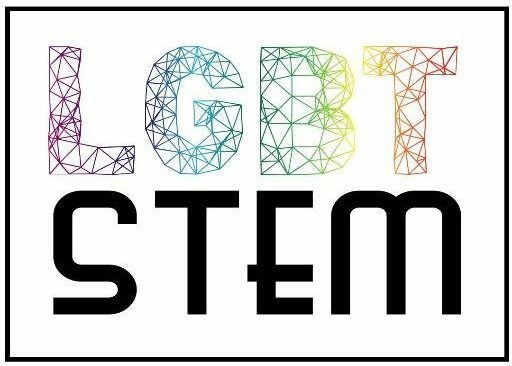 Also, I’ve started a group at UCLA called Queers in STEM to create a space for LGBTQ+ students, postdocs, and faculty in STEM to come together. It’s going really well so far! I went to Virginia Tech for my undergrad and got degrees in Chemistry and Geoscience! There, I met a bunch of LGBTQ+ STEM graduate students that really motivated me to pursue graduate school as well and now I’m at UCLA in an incredibly supportive, safe lab group. Yes, absolutely. Virginia Tech is in southwest Virginia and so the surrounding communities are not the most welcoming of LGBTQ+ peoples. When I was choosing a school to attend for my PhD, I wanted to make sure that I lived in a place that had LGBTQ+ culture. Fortunate for me, I do not believe so; however, I believe most bias nowadays is implicit or silent, not to your face. My older sister – my parents wanted her to follow their career paths, but instead she did what she wanted to do and makes her happy. She’s successful doing it. Bill Nye – I believe one of the best parts of science is being able to share it. Bill Nye does that everyday and I aspire to do the same. Sebastian Mergelsberg, Brady Ziegler, Rob Chapleski, Sarah Ulrich – graduate students at my undergraduate institution that showed me that LGBTQ+ exist in graduate school and are thriving. Patricia Dove – my advisor for my undergraduate research. She constantly told me stories about how she stood up to the ‘boys’ club’ during her rise to the top of her field. It was a privilege to work with her and to be able to call her a mentor. Aradhna Tripati – my current PhD advisor. She does so much work for diversity and inclusion advocacy and is also an accomplished scientist. Being able to do both is no small feat; I hope to be able to do the same. Near future: pass my quals and make sure the organization I founded, Queers in STEM, continues to grow and thrive. Further future: Get my PhD!! A postdoc?